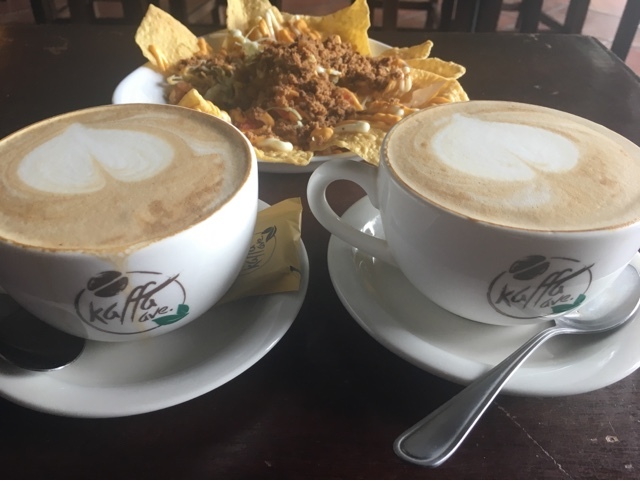 I've first had a taste of Kaffa Avenue's coffee in Dagupan City. It's good to hear they now have a branch closer. 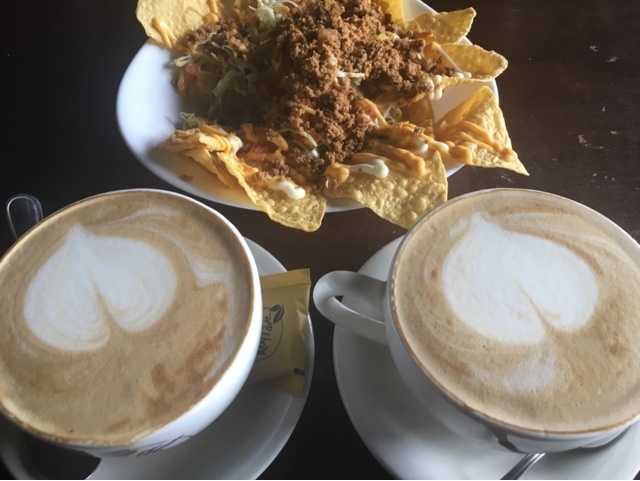 This branch is bigger than the one in Dagupan and offers more in the menu for both drinks and pastries. It’s also very convenient for mall rats because it’s within a fast rising mall. CB mall is slowly getting more popular after years of being stagnant due to the presence of several government satellite offices in the top floor. These include PhilHealth, SSS, Pag-ibig, and even OWWA at scheduled dates. I didn’t get to sample the pastries when we first dropped by last year but I was able to try them recently. It’s almost always the same blueberry cheesecake anyway. 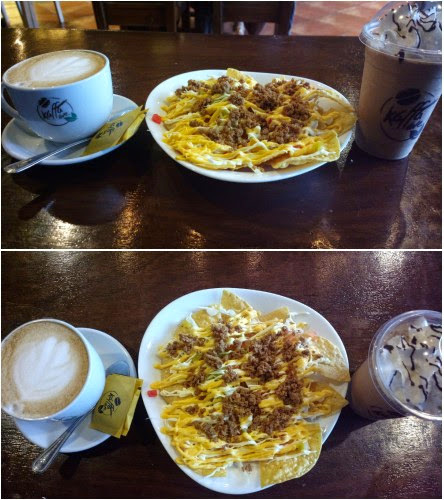 But most of the time, it’s nachos with hot as well as cold coffee. It’s actually a good combination. Kaffa Avenue in CB Mall is located at the ground floor. CB Mall is along McArthur highway, Urdaneta City, Pangasinan.